Happy 8th Birthday to our blue-eyed, blonde hair, kind, hilarious, it has to be fair, passionate, and sensitive Zoelle Grace! You are 8 today! 8 years ago you were this teeny tiny baby in my arms and we were learning how this whole parenting thing worked, while you were figuring out how this whole world thing worked. Kind of crazy isn't it? 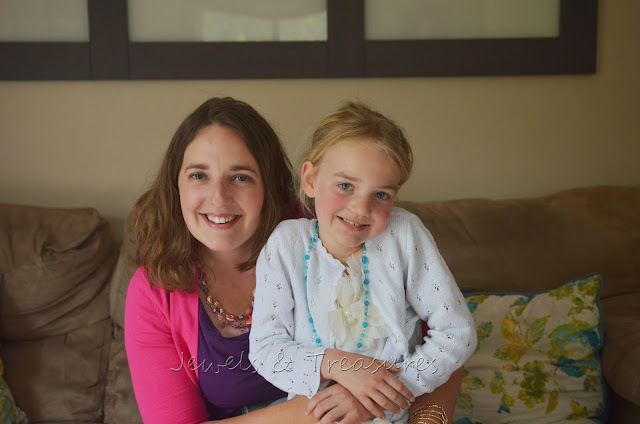 You will always hold a special place in my heart as the girl who made me mama. I'm convinced God specifically gave us the middle name of Grace to give to you because you are one of the most gracious, kind, forgiving little girls I know. Being you are our first, we've made a thousand mistakes with you, but you are always willing to extend grace. I love that about you. This year is the first year you won't be home with mama on your birthday. You looked at the calendar months in advance to figure that out and there were tears shed from both of us when we realized your birthday fell on a Monday. The awesome thing is I get to take you to lunch, and I'm going to pick you up from school because I want to spend every second of your birthday with you that I can! I'm bummed it will be cold and rainy, but we will still have fun. 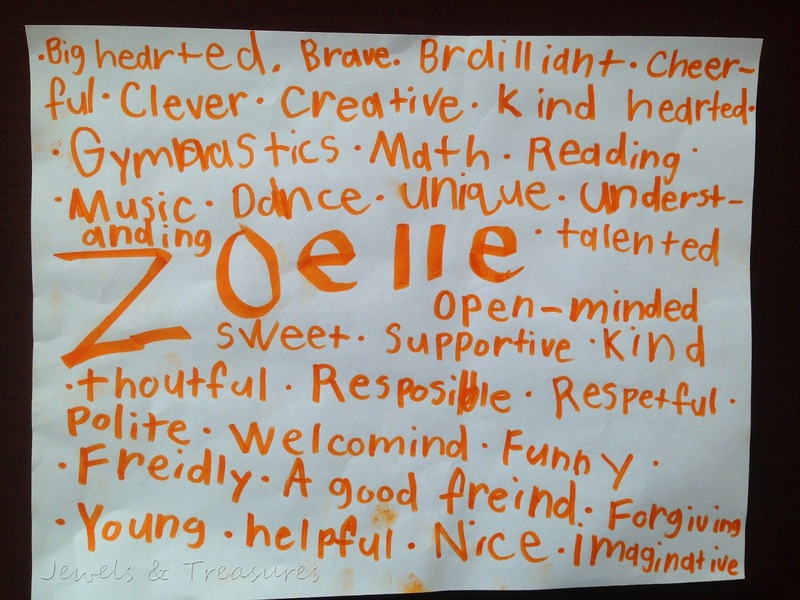 Zoelle made this in school a few months ago and it perfectly describes her! 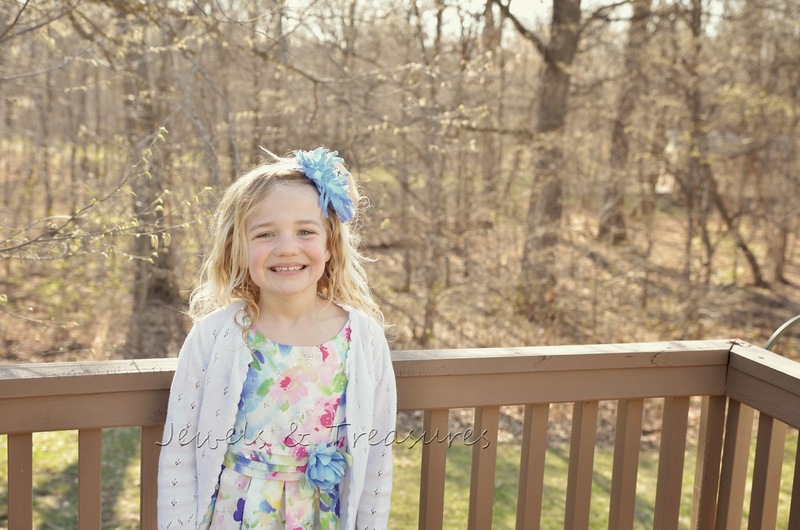 This past year I've watched you change into less of a little girl and more into the pre-teen you are soon to be. Instead of that making me sad, I'm super proud of you. While I know you miss me each and everyday, you have really enjoyed going to school and it has helped you become "you" outside of who you are with mama. The kids at school love you and often wait for you in the morning to go into the classroom. You have a confidence about who you are that I hope you never lose. Most of all you treat others with kindness. I'm not sure I've seen a more empathetic and kind heart than yours. I think it is often your sensitive spirit that gives you such a kindness in your heart. Each day you come home and spend hours curled up on the couch reading. Reading is still definitely your thing. You love to sing and play piano. In fact, we often find hidden videos on our phone of your sweet crystal clear voice singing a song just for us. When you get caught, you just giggle. You have the best giggle. Oh goodness, it makes me smile. You love to make people laugh and so you often tease me, or tell me jokes and I love hearing you laugh and laughing with you. What a joy it is to be your mama. You still take violin lessons but you aren't sure you want to take them next year because violin is hard work and it can be frustrating. I sure do love listening to you play so I'm hoping I can keep you interested still next year. You have your sights set on trying gymnastics this coming year and go around the house doing cartwheels whenever you can. At 8, you have definitely chosen green to be your favorite color, but you still assure me that you like blue too. Your favorite food is pizza because "Mmmm, pizza is sooooo good mom!". You love to play outside, especially if I play with you too. The trampoline is a favorite of yours. Last summer you were a little fish and swam every second you could. You sometimes like to play with your sisters, but most of the time they just get in your stuff and make you mad. Your favorite thing to do is doing science experiments and you beg me each day to make a mess at the kitchen table just so you can learn more (I need to get better at saying yes to them as I love watching you learn). You like to help cook and bake. Sometime in February of this year, we noticed your hair went from wavy to curly and you aren't sure you like it that way because it is now easily knotted in the back. When you grow up you want to be a doctor, but you aren't exactly sure which kind yet. I always tease you that you would make a great lawyer as you fight for what is fair. Keep fighting for justice sweetheart because you will do great things. My favorite moments spent with you Z are late at night when you sneak into our room because you just couldn't sleep, or you have me curl up next to you in your bed and we just talk. You LOVE to talk! I could listen to you for hours. You are expressive and I love watching your beautiful eyes light up as you tell me a story. Tonight, I snuggled into you as you read just one more chapter before it was bedtime, and I just watched you. I asked you, "Zoelle will you snuggle me like this when you are 18?" "Yes, of course I will mama", you say. "How about when you are 30?" I ask, and you answer, "I will probably always want to snuggle you and play with your hair mama." You always can sweet girl, you always can. You are beautiful little girl, on the inside and out. I am so proud of you. I can't wait for the years to come with you, but for now I'll enjoy you still as my little 8 year old girl. Happy birthday sweetie!